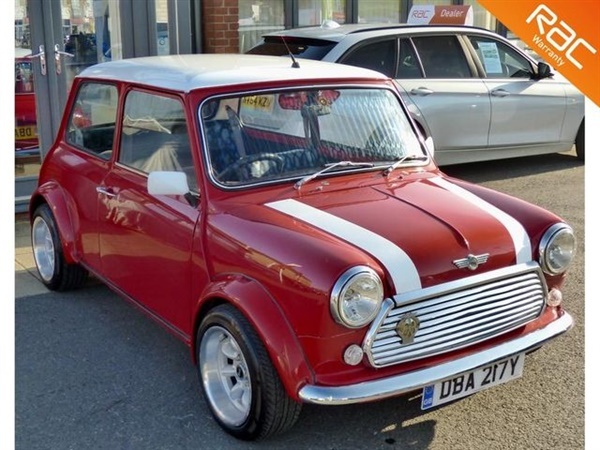 Stunning example with only 13,483 on the clock. The vehicle was fully restored in 2009 with all pictures and documentation. Exterior, interior and mechanical overall. The vehicle has a JVC CD player, a USB conversion and a 12v power point. Obviously the rebuild was some time ago and the vehicle does have some minor cosmetic marks inside and outside so is not perfect. But overall is a really stunning example with all the original character, features and charm. We have a huge file of documents, invoices, service history, mot's etc. It will we supplied with 3 keys, a new Mot a service and a 6 month nationwide RAC WARRANTY. This represents a fantastic INVESTMENT OPPORTUNITY. BUY FROM A TRUSTED RETAILER, PLEASE SEE OUR REVIEWS ON GOOGLE AND OUR WEBSITE, VOSA MILEAGE CHECKED (CERTIFICATE SUPPLIED), HPI CLEAR, NO FINANCE OR PREVIOUS ACCIDENTS (CERTIFICATE SUPPLIED) *** PART EXCHANGE AND TEST DRIVES WELCOME 7 DAYS A WEEK INC EVENINGS *** ALL MAJOR DEBIT/CREDIT CARDS ACCEPTED WE ARE HERE TO MAKE BUYING A CAR EASY! OUR SALESMAN ARE HERE TO HELP YOU TO BUY, NOT TO SELL YOU A CAR! WE ARE OPEN 7 DAYS A WEEK, FINANCE AVAILABLE, DELIVERY AVAILABLE, RAC APPROVED DEALER WITH A FANTASTIC REPUTATION!